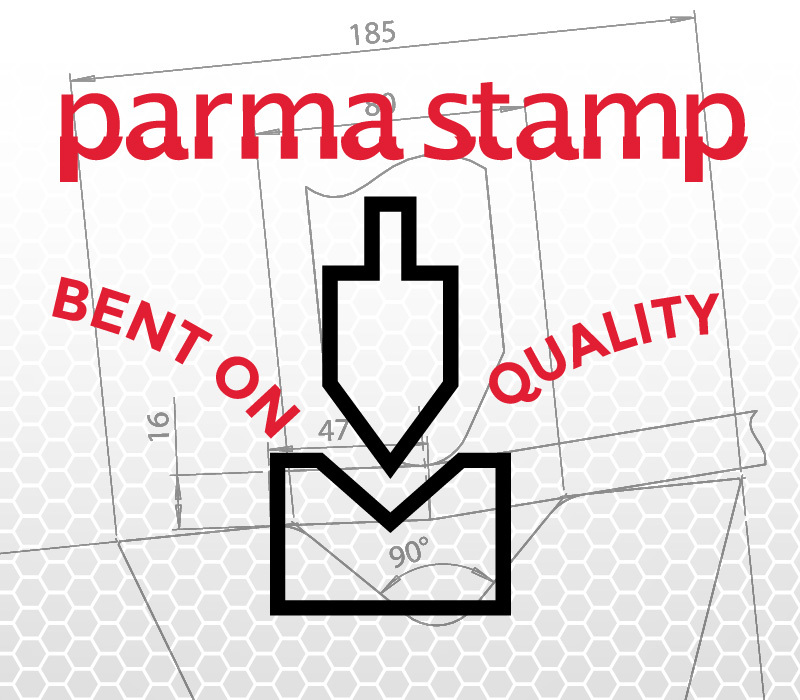 Parma Stamp has been manufacturing standard and special press brake tools since 1974, being able to gain among its customers the most pretigious companies in the world. Our tools are placed on a high-end market , as qualitatively superior to those of the competition for technical characteristics , materials , hardening and accuracy of the mechanical tolerances . Reputable companies that produce machinery for sheet metal bending have been buying their standard and special equipment for many years by our company. Parma Stamp has specialized not only in the design and manufacture of tooling for all kinds of press brakes but can provide complete lines of tools for panel bending machines and folding centers , fully ground and hardened (case hardened , nitrogen or induction hardened at 58-60 HRC) with matching tollerance of 0.01 mm . Our tools are ground not only on the working parts , but on the tang and on the other surfaces that give an aesthetically uniform good looking or represent an important reference during processing, to achieve excellence in parallelism , in the square , in the centering and the straightness of the die. Our tools are used in many different industries , from machinery manufacturers , users sub-contractors, in the field of urban construction, metal furniture , door frames, vehicles, aircrafts , elevators , shipbuilding , railways, lightening poles , and many others yet . Our products are nowadays installed around the world in small and large companies such FRANKE , RITTAL, KARDEX, RANNILA, SCHMITZ CARGO BULL, MAN, AIRBUS, CANADAIR, URAL VAGON ZAVOD, LIEBHERR, PISCINE CASTIGLIONE GRUPPO A&T, to name a few ones.